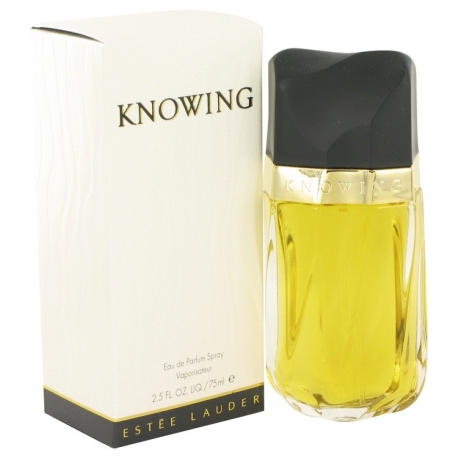 Knowing is a warm and elegant woodsy scent for a sophisticated and self-confident woman, a woman of 1990's. The top notes begin with the floral freshness of mimoza, pittosporum, sweet rose and tuberose, combined with sparkling fruty notes of plum and melon. There are floral notes mingling with a sweet woodsy note of patchouli and iris and spicy clove and laurel. The chypre base includes precious woods (sandalwood, vetiver, patchouli), oakmoss and civet. The perfume was created by Jean Kerleo 1988. The nose behind this fragrance is Elie Roger.